What happens when there is no risk management and you lose your life time savings in stock trading? Yes this happens to some people who cannot stop their greed and keep trading on hope. Like everyone I receive dozens of mails. I ignore most and read only a few. I read your mails in detail. You write so practical and down to earth and sensible. I have been investing in stock market since 1980 when I received my first salary. Mostly I used to apply in Initial Public Offerings (IPO). I got allotment in Hero Honda and Kinetic Honda. Unfortunately I sold Hero Honda and did not sell Kinetic Honda when it’s price peaked at Rs.150/- in 1985. Rs.15,000/- was more than my whole year’s salary. Result is there for everyone to see. I stopped applying in IPOs after Garden Silk Mills Ltd. which was at 75 rupees premium in 1985/86. It’s listing price never went above 100. I stopped applying in IPOs. I started buying from market. A few very good company like Ponds and Doom Dooma but mostly faltu (useless) companies. So return on my investment was a average or below. In the year 1992 I was having 4 Lacs in three scrips namely Reliance , Tisco (Tata Steel) and Ambuja Cements (all IPOs allotment and hence multi multibaggers). A single BHK flat in the same building where I was temporarily staying for 4 Lacs which I did not buy. Price of that flat today is Rs. 1.50 crores. Then Harshad Mehta crash happened. I bought flat in 2000 from loan and selling investments, but I did not buy a larger flat selling most of my investment which would have come very handy today with my enlarged family. Moral of the story so far is always convert your investment in good shares and landed property. I got retired in October 2017. I have been doing investment all my life which was spent in getting displaced from one place to another. So I thought now I can take rest and earn income sitting at home doing trading. 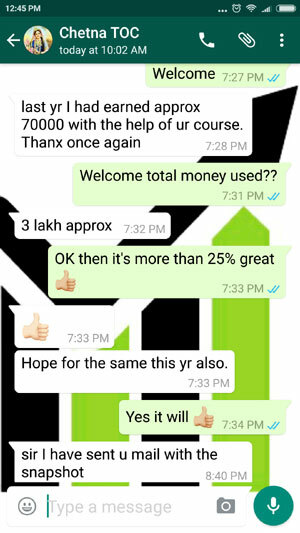 In a matter of 10 months, I lost 30 Lacs without even realizing by trading in futures. All my life’s savings and little of my terminal benefits is gone. I thank God for whatever is left. 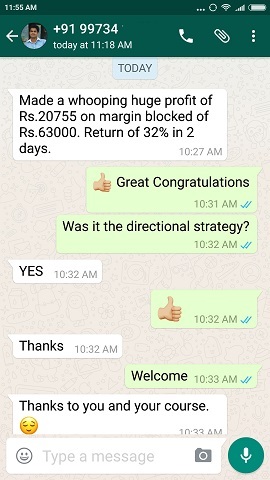 Now I have started option trading. But I am going to be very careful and quit the market in case I loose further. I am writing this for everyone specially new people who want to earn money and CREATE WEALTH to know this. Thanks once again for your emails which I always read with seriously and lot of interest. Sir thank you for reading my emails that too in this age. Anyway Sir, what has happened has happened, please forget. I had a bad experience of investing in PMS of a very popular company. So my advice is – please keep checking your value of investments every month. I think the rule says, they will have to show you the performance of the PMS you have invested. 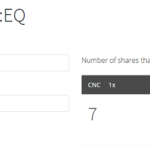 If after 6 months its not showing a profit over 6% then you exit that PMS. Yes 30 Lacs / life time savings is gone. Gone are dreams of foreign tours forget about buying bigger/another property for children. Beginning this month, I have started trading in options as chances of loss in an single trade are limited. I don’t know much except call and put. Taking very small small trades with the hope that earning something sizeable in due course. 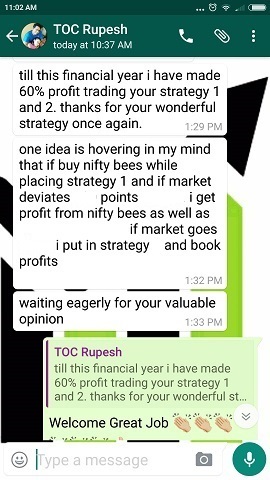 Note that even after lifetime savings lost this gentle man is trading naked (without hedge) and still dreaming to make it big. Read this sentence in above email – I don’t know much except call and put. How on earth someone with limited knowledge make it big in trading options? It surprises me that just because the entry level to this business is easy and just because everywhere its written that option buy is unlimited profits – people jump in with greed – looking for unlimited profits. They forget that option buy is also a limited loss and that loss is all the money becoming ZERO. Please note that option buy is unlimited profit is only a theory – no one has ever made unlimited money buying naked options. 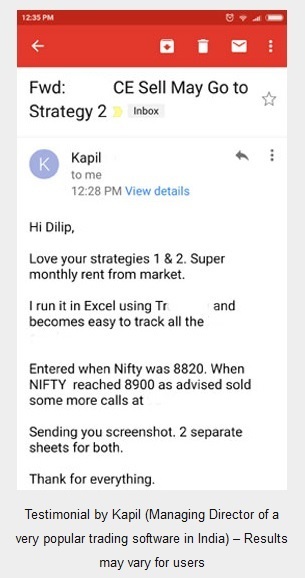 Even if you are a good option trader who does naked trading can you buy options worth 50 lakhs? You cannot. Until and unless you do not hedge your option trades you cannot trade with large capital. You will be limited to a few thousands and stress. Hope you learn a lesson from the experience of Mr Mehta.